Additional information on this event is available here. Given that the predicted shadow path lies far south of Pasco, this appulse event will not result in an actual occultation. 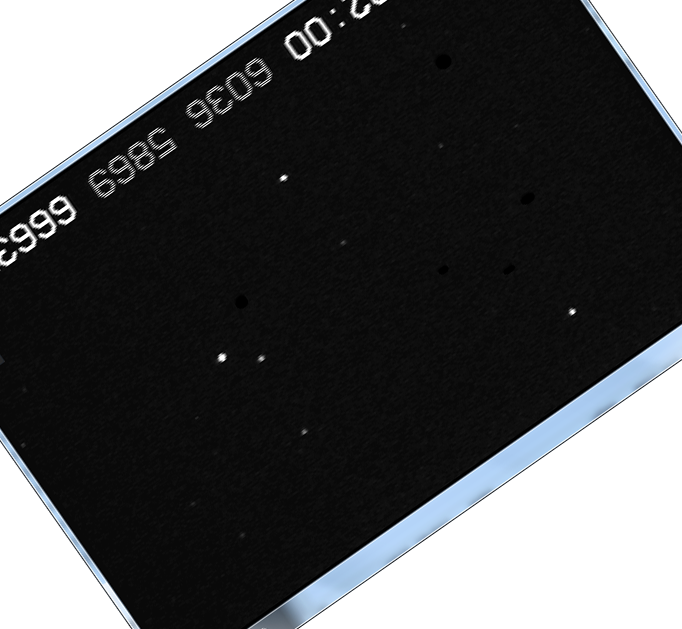 During the half hour before and after the appulse, we should be able to see the asteroid approach, merge with, and than move passed the target star. 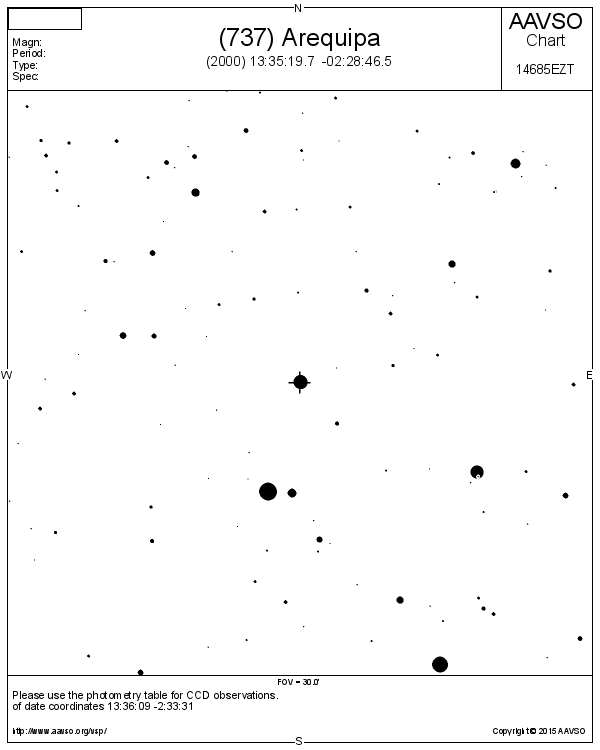 Below is an image of the star field taken by John Keller at sense-up of x128. 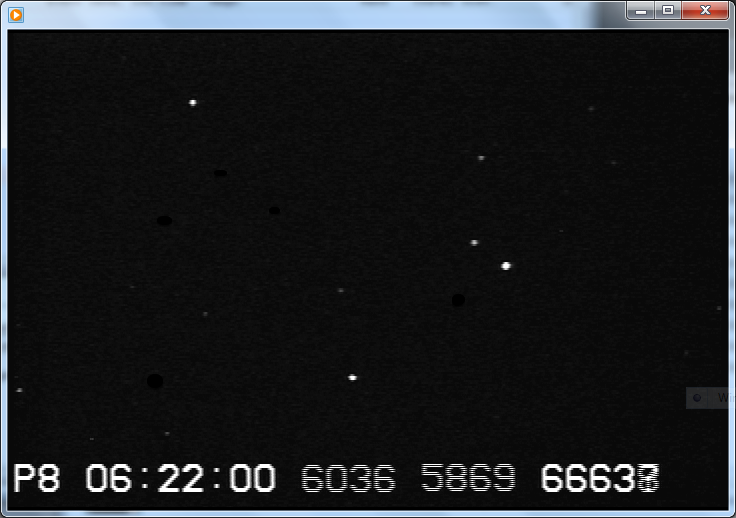 Here is the same star field rotated so that north is up. Following the event, please complete a RECON Event Report.